Solar hot water is a great way of reducing your household electricity bills. With a solar hot water system you can save more than 70% on your hot water heating costs! For a no obligation solar hot water quote, please fill in the form at the bottom of this page. Solar hot water systems allow you to draw energy from the sun to heat your hot water during the day, and use it all day and night long. You are saving money and you will also be making a contribution to reducing your carbon footprint, and thus reducing the impact of climate change. Energy Matters works with a national network of solar hot water specialists who can provide expert installation in locations across Australia at very competitive prices. We have made sure that only the very best and most qualified installers are included in this network. We have installers in ever state and capital city of the country, as well as in many regional and rural areas. Please submit the following form and a specialist will follow up with you to answer any questions you may have and to provide you with a customised free, no-obligation quote. By completing this form, it does not in any way obligate you to buy a system. 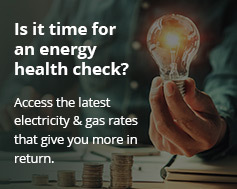 Get an obligation free solar hot water quote for your home, now: huge savings for Australian households due to generous government rebates and our deep discounts. You can also contact us on 133 SUN to speak to one of our solar power specialists.